Copy This Book. An Artist’s Guide to Copyright. In bookshops, distributed by: Antenne Books (UK, IRL, FR and Scandinavia), D.A.P. (U.S. & CA), Perimeter (AU & NZ), Vice Versa (DE, CH, AT), Centraal Boekhuis (NL & BE). 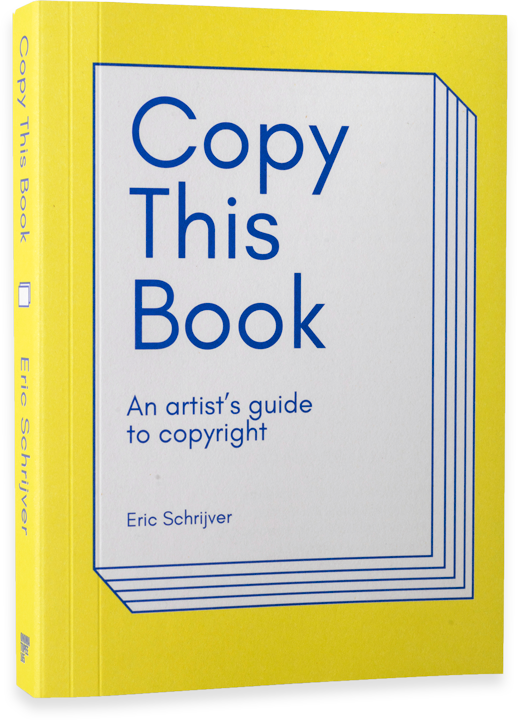 Copy this Book is an artist’s guide to copyright, written for makers. Both practical and critical, this book will guide you through the concepts underlying copyright and how they apply in your practice. Sam Donvil, Séverine Dusollier, Maxime Lambrecht, David Le Simple, Freek Lomme, Ellen Lupton, Josh Plough, Antonio Roberts, Sebastien Sanfilippo, Camille Testard, Stéphanie Vilayphiou, Maarten Zeinstra. 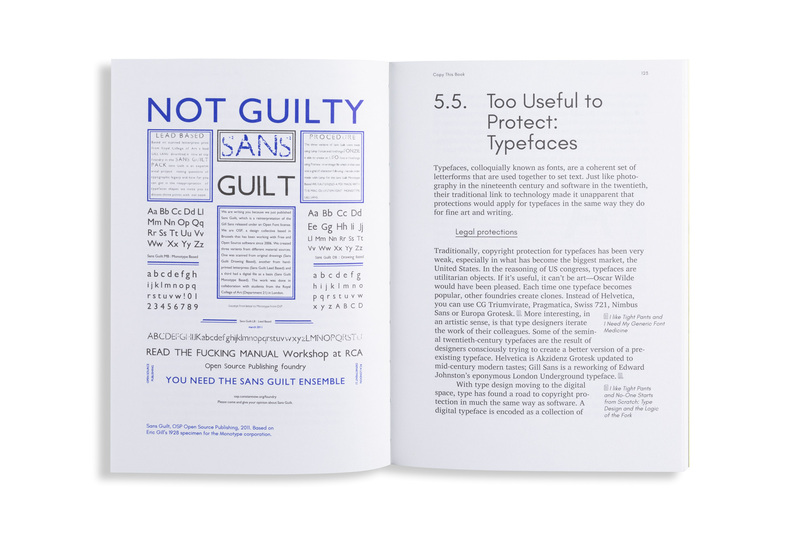 Designer and author Eric Schrijver invites you to meet and discuss your copyright cases—both those related to copying and to getting copied! The audio-visual performance Copy This Book as part of “Copie Machine: Temporary Photocopy Zone”, a DIY copy and print party featuring Antoine Lefebvre, Laura Morsch-Kihn and Sara MacKillop. The audio-visual performance Copy This Book followed by a discussion on the intracies of licensing and getting licensed for photographers, illustrators, designers and journalists. A double bill with ooooo / bolwerK, an event part of the festival There is a Storm Copy That, an investigation into the links between sound and print; the audio-visual performance Copy This Book with extra emphasis on the different ways in which rhytms, words and melodies are treated by copyright. A discussion on the intracies of licensing and getting licensed in the context of graphic design for the fourth year Graphic Design students, as an invited speaker in Vanessa Lambrecht’s “professional practice” course, followed by an audio-visual lunch lecture. 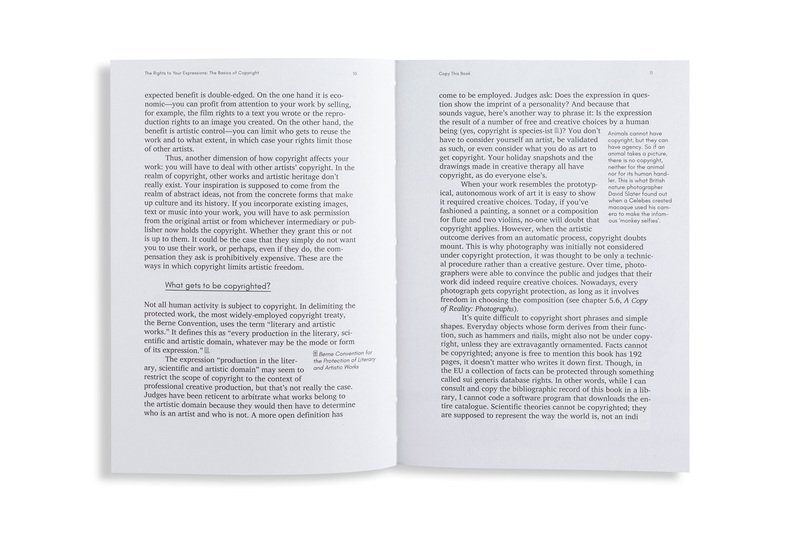 “L’impact du contrôle algorithmique du droit d’auteur sur l’édition post-numérique”, a lecture as a contribution to the symposium, followed by the audio-visual performance Copy This Book. An audio-visual performance, followed by a discussion of the practical aspects of copyright with the students as well as the possible impact of the new EU regulations. Invitation by Maxime Lambrecht for his law class. An audio-visual performance, followed by a round-table discussion with law scholar Julien Cabay, artist Eleanor Ivory Weber, and publisher/curator Freek Lomme (Onomatopee). Moderator: Julie Van Elslande. Caveat is a collective research project reflecting and acting on the ecology of artistic practice. How do you create an original expression? That’s not simply an artistic question, it’s a legal question. In an audio-visual performance, Eric Schrijver will show artistic creation as it happens in from the perspective of the law, charting exactly the threshold of originality, where ideas become expressions; and, on the other hand, where incidental reproduction and abstract inspiration become infringements of the rights of others. Layout and graphics made with a mix of software including Inkscape, Scribus and html2print, a free layout software developed by OSP — thanks Alexandre Leray, Ludivine Loiseau and Sarah Magnan for your advice!